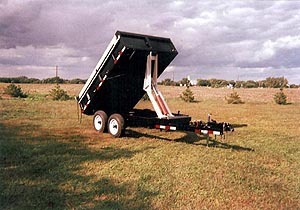 Ullhaul dump trailers are built for the long haul. Constructed with 11 gauge 2"x4" steel tubing with 11 gauge steel floor and sides with formed edges for maximum strength. Extra long tongue provides easy backing and excellent towing. Lockable enclosed pump and battery allows trailer to stay on site for jobs requiring direct access to the driving vehicle. Tires are under bed allowing loading with tractor or skid steer without damaging the trailer. 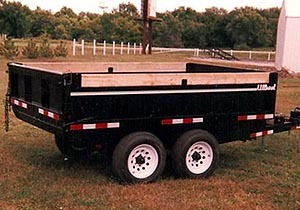 Ullhaul trailers are designed with reliability in mind.